Reliance’s anti-backlash gears are an effective solution in scenarios where angular play might pose a problem within gear motion control mechanisms. Developed over a number of years, the range is ideally suited to scientific instrumentation where accurate positional feedback is of vital importance. The miniature range is especially useful in environments operating within a minimal working envelope. Reliance anti-backlash gears have a 2 piece construction method. The fixed plate and hub are manufactured from the same piece of material, providing maximum ruggedness between the hub and the fixed plate; only the floating plate is separate. Many other gear suppliers adopt a 3 piece construction method where the plate, hub and floating plate are manufactured separately and swaging is typically used to join the hub to the fixed plate. This can compromise the ruggedness of the jointing method and is not as reliable in-service as a one piece manufacturing method. Rotational tension allows the mechanism to continually adjust during the working life of the gear train. This is beneficial in aerospace and defence applications where steel anti-backlash gears are able to compensate for the thermal expansion and contraction of light aluminium housings. When used in very accurate positioning applications, over a large temperature range, a small zero shift is introduced as the gear centres expand and contract. This is common with all types of anti-backlash gears, however Reliance’s engineers can predict and minimise the effect of this shift on the overall system. Reliance’s design team can also advise customers on maximising the life of anti-backlash geared mechanisms based on over 20 years’ experience of maintenance free operation. 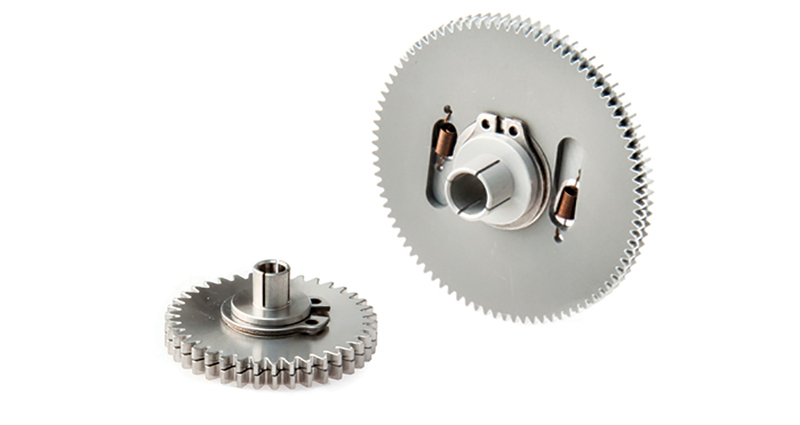 Available from Reliance’s catalogue as a standard product in stainless steel or aluminium alloy, gears can be supplied in a variety of specifications and materials. Anti-backlash gears can also be supplied in copper beryllium for down hole applications or non-lubricated for vacuum systems. Reliance Precision specialises in high accuracy, fine pitch gearing for specialist servo, measurement and actuation mechanisms in aerospace, scientific, satellite, optical, medical and instrumentation markets. For more information, please contact Reliance Precision at sales@reliance.co.uk. To view all standard products available in the catalogue.